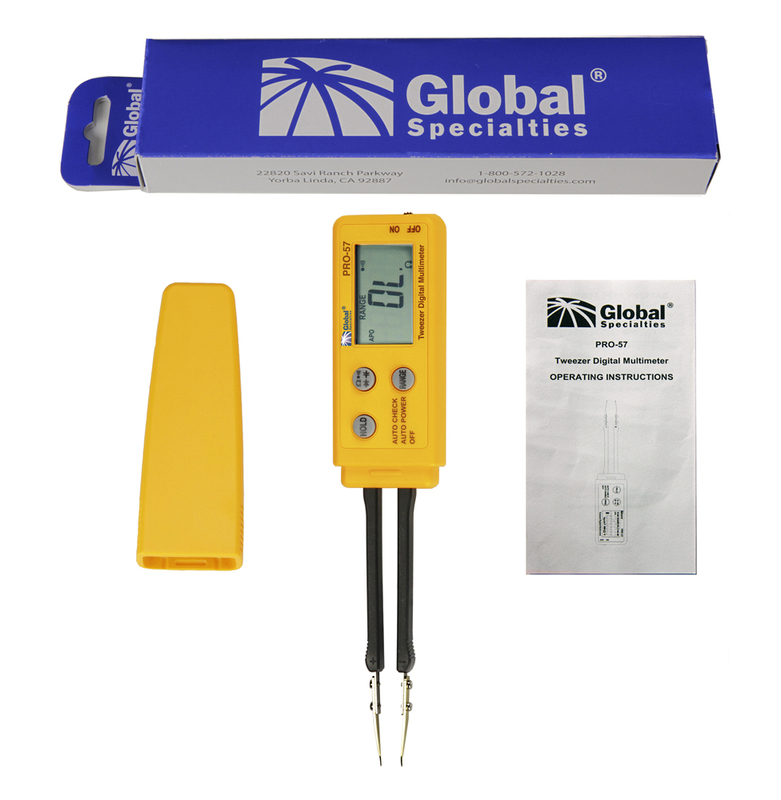 This is the PRO-57, a highly versatile, economically-priced, handheld Tweezer Digital Multimeter. 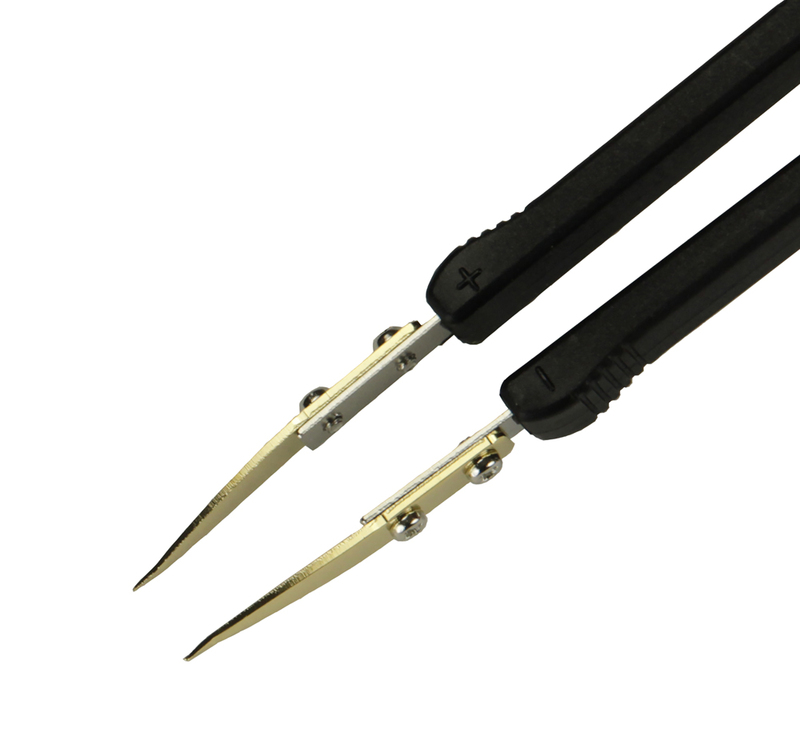 Small enough for one-hand operation, it is perfect for use on surface mount devices (SMD). It has a display of 3000 counts, 4 times per second sampling, automatic polarity with negative indication (-), battery status, and over-range indication. The PRO-57 can measure continuity, capacitance, and resistance, with an accuracy of 3% - 5%. It also has a diode test function. 0ºC ~ 40ºC (32ºF ~ 104ºF) at less than 70% R.H.